Over the past month analysts discussed continuing rapprochement of Belarus with the West and potential Russia’s responses to it. Meanwhile, influenced by Russian propaganda, Belarusians favour Eurasian integration over European, although official Minsk finds its result unsatisfactory. Belarusian opposition changes its strategy in relations with the authorities and plans to push them to negotiations with backing of mass street pressure. However, a Ukrainian sociologist predicts that democracy in Belarus will come not earlier than in 50 years and conditions for a Maidan do not exist there. This and more in the new Digest of Belarusian Analytics. Belarus in the EAEC: a Year Later (Disappointing Results and Doubtful Prospects) – This report was presented in Minsk on March 22, by the Center for Strategic and Foreign Policy Studies and the Friedrich Ebert Foundation. The report is devoted to the analysis of the first year of existence of the Eurasian Economic Community (EAEC) for Belarus. Among the key findings is that Minsk had great expectations from this association, but now finds it unsatisfactory. Europe’s Last Dictator Comes in From the Cold – Artyom Shraibman, for Carnegie Moscow Center, notices that Lukashenka’s fortunes have changed. Once known as “Europe’s last dictator,” he has won friends in Europe, while antagonizing his traditional ally, Russia. It’s a situation that has left the Kremlin in a difficult position: should it punish Belarus for its pro-Western tendencies? Or should it continue to prop up the Belarusian economy rather than risk further unrest in the region? Belarus-Ukraine Relations Beyond Media Headlines – Yauheni Preiherman, in Eurasia Daily Monitor, notices that media narratives often distort the reality of Belarus-Ukraine relations. Some observers explain this by the absence of a “strategic vision for a long-term relationship”. The author sees this a typical feature of inter-state relations in the post-Soviet space, where politics is mainly about tactics, and fighting protectionist trade wars is part of the political culture. Belarusian Opposition Comes Up With New Strategy: Negotiations With Authorities Due to Protest Pressure – Politicians and leaders of the mass protests discuss the lessons of "The Square-2006". The new strategy is likely to depart from the revolutionary approach to power change and focus on evolutionary approach, by changing relations between the authorities and the opposition through negotiations, backed by mass street pressure. Ukrainian Sociologist: Maidan will not be in Minsk – Democracy in Belarus will come not earlier than in 50 years. This will happen only when society is ready for this. Artificial imposition of liberal values does not work, as well as there are no political or social preconditions for Maidan of the Kyiv scenario in Minsk, according to Ukrainian sociologist, Professor Eduard Afonin. Majority of Belarusians want to keep death penalty. According to the March national poll conducted by IISEPS, 51.5% of Belarusians do not agree with the idea to abolish the death penalty; opposite opinion is shared by 36.4%. Women are less in favor of abolition of the death penalty than men – respectively 55.3% and 46.9%. Belarus is the only country in Europe and on the post-soviet space, which still applies the death penalty. 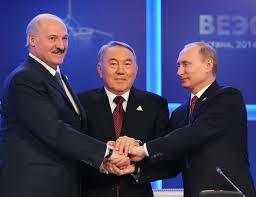 Belarus Between EU and EEU. Nation-Wide Poll – The ODB Brussels commissioned a survey about perceptions, preferences, and values Belarusians attribute to the European Union (EU) and the Eurasian Economic Union (EEU). According to the study, Belarusians have a high-level understanding and appreciation of the EU, a clear opinion that the EU and EEU are competitors while public reasoning is currently swayed in favor of economic cooperation with the EEU. Peculiarities of Public Opinion in Belarus – Grigory Ioffe overviews the key results of a fresh national poll by IISEPS and an alarming reaction of official sociologists to the results, namely, the decline in Alexander Lukashenka’s electoral rating. 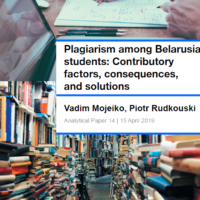 Siarhei Nikalyuk, an associate of IISEPS, suggests that independent sociologists who are de facto allowed to work in Belarus are playing the role that jesters did in medieval Europe. After all, only a jester was allowed to speak the truth to the monarch, who actually appreciated that. Advocacy Sector in Belarus: CSO Experience – The study analyses the actual practices of advocacy in Belarus for the recent five years. The researchers see the key factor of success/failure of any campaign in its capacity for politicisation, i.e. whether authorities perceive a campaign political or not. The study was commissioned by OEEC in a series of sectoral studies aimed at summarising data on the development of specific sectors of civil society in Belarus. The presentation was held on March 24. How to Make Minsk a Cycling City? – Pavel Harbunou, the Minsk Bicycle Society, shares the results of an annual monitoring on bicycle traffic on the Minsk streets, which shows that the number of cyclists has increased significantly in the city. The activists tells what can be done to make Minsk comfortable for all road users. Namely, the Bicycle Society launches a new campaign Street Bike Supervisor aimed to provide a regular feedback on the conditions of Minsk streets.